In this article, we offer an overview and summary of the latest research studies on the impacts of Hydropower Dams and Climate Change on Stream flows in the Mekong River. These variations in Stream Flows in turn, impact on the Mekong River’s ecology, fisheries and on riparian communities dependent on the river for survival. River management focuses not only on the total volume of water runoff, but also on its flow regime. Climate change – through loss of glaciers at the headwaters of the Mekong River in the Tibetan Plateau, precipitation and evaporation. These factors significantly alter the hydrological flow patterns, which in turn, change river ecosystems at a basin scale, and thereby, affect aquatic communities, biodiversity, fish reproduction, and the humans that depend on the river products for survival (Kuenzer et al. 2012; Li et al. 2017; Räsänen, T.A., et al. 2017). A recent study (Räsänen, T.A., et al. 2017) led by researchers from Aalto University in Finland, found that the hydropower projects in the Upper Mekong-Lancang River in China, have caused significant river flow changes to the Mekong River since 2010 & 2014, when the Xiaowan and Nuozhadu mega-dams were respectively completed. “An analysis of river flows in Northern Thailand indicates that the hydropower operations considerably increased dry season flows and decreased wet season flows. Furthermore, the study shows that the dry season flows have also become increasingly variable. The river flow impacts were largest in 2014 after completion of the ‘Nuozhadu dam’, the largest hydropower project in the Mekong Basin, and the impacts were observable over 2000 km downstream in Cambodia. The hydropower operations dampened the Mekong River’s annual flood, which is a key driver of the ecological productivity of the river. 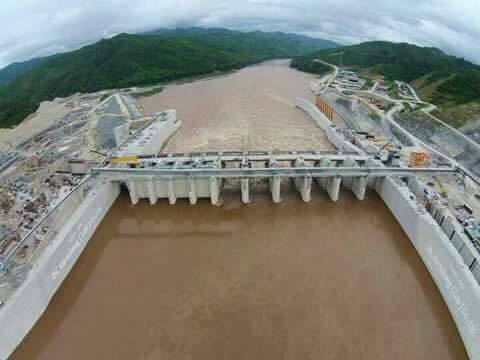 “No dam was constructed on the mainstream of the Mekong River until 1992. China has built six hydropower dams on the mainstream of the Lancang River (i.e., the UMB) since 1992… The two largest dams are Xiaowan (14.56km3 in total storage, completed in 2010) and Nuozhadu (22.4 km3 in total storage, completed in 2014), contributing 36% and 55% of the total storage capacity of all the existing reservoirs in the basin, respectively. Although the streamflow regime has been altered because of large-scale dams the hydropower generation of the Mekong River has kept increasing in recent years (MRC, 2010). The primary objective of these dams is hydropower generation, which is expected to yield considerable economic benefits for the riparian countries. However, the construction and operation of large dams would also affect the patterns of stream flow, resulting in multiple changes in stream flow regimes, thereby causing a negative impact on ecosystems. The operation of dams reduces the stream flow in wet seasons and increases the stream flow in dry seasons, resulting in a unique seasonal variation in the stream flow based on eco-flow metrics in the Chiang Saen gauging station, observed from 2010 to 2014. In addition, the maximum flow values decreased significantly in the Chiang Saen gauging station during the year corresponding to the completion of the upstream dams. The construction and operation of dams clearly have significant impacts on low pulse duration. contradict the ‘genetic migration programming’ of aquatic species. Hence, everything in the River basin goes topsy-turvy, reducing productivity, drying out and then flooding wetlands and riparian zones, confusing the migratory patterns of fish and invertebrates, and blocking the fish progress with a Dam wall to make things worse. As mentioned above, the construction and operation of Chinese dams in the Upper Mekong-Lancang River clearly have significant impacts on stream-flows and low pulse duration. The Tonle Sap Lake and the floodplain wetlands are now threatened ecosystems because of the dramatic differences in water levels and the low pulse duration experienced since the construction of the Chinese Dams, Laotian Dams and the Cambodian LS2 Dam; as well as, by the loss of sediments and water pollution. This lake and wetlands are a major and vital area for fish and invertebrate reproduction for the Mekong River basin. However, these issues are diminishing productivity, reproduction and recruitment of fish and invertebrates populations. Migratory birds that use wetlands for roosting are also heavily impacted by loss of habitats. in the Tonle Sap Lake and wetlands – as a consequence of upstream dams. over 20,000 of the poorest people in Cambodia. The loss of Food security is conducive to a Humanitarian Crisis that must be avoided at all costs (Local Chiefs of Tonle Sap Villages, Personal communication (2016); Arias, M.E. et al. (2014). In regard to the impact of Climate Change on Stream-flows in the Mekong River, this was investigated by Liu, KT et al. (2016) using remote sensing – via Satellite Radar Altimetry. They found melting glaciers in the Tibetan Plateau and a downward trend in rain levels from 2009 to 2015 – indicative of Climate Warming – all of which necessarily reduces the river’s water level. Evaporation and runoff caused further water losses. “From precipitation perspective, except for normal variability in the annual signal, it is observed a slight downward trend from 2009 to 2015, which is arguably caused by regional climate change . precious commodities – an investment that cannot be wasted, blocked or polluted. The policy by China, Thailand, Laos, Cambodia and Vietnam to rely on and open more Coal-fired plants to produce electricity for factories and other developments, is non-sensical and dangerous.Rather than facing out fossil fuels they have “decreased” only the “planned amount of plants”. The Mekong Delta is Vietnam’s fruit, vegetable and rice basket! As well as, home to 20 Million mostly poor people! With the upstream dams blocking most of the nutrient rich sediments that make the Delta fertile and keep it AFLOAT, the Delta is already SINKING. Salt intrusion from raising sea levels and drought, have already damaged over 900,000 hectares of productive land, and in 2016 the first large group of “Environmental Refugees” (over 11,000 people) were displaced and flocked to the nearest cities… homeless and jobless! Yet, Vietnam recently advertised it will double its Coal-fired plants by 2030 to produce electricity for factories and other developments in the Mekong Delta – mostly for Thailand and China. Effectively, Vietnam is already in the process of killing its “Goose that lays the Golden Eggs – by helping sink its own Delta! It’s doing so by: increasing GHG emissions, thus increasing Climate warming, and by allowing more Dams to be built upstream… When in fact, Vietnam is fully entitled to create a scandal and stop the Dams, given that it will be the country worse hit by loss of sediments & nutrients, as well as, by Climate warming. the Delta WILL go under water, creating an unprecedented Humanitarian Crisis. 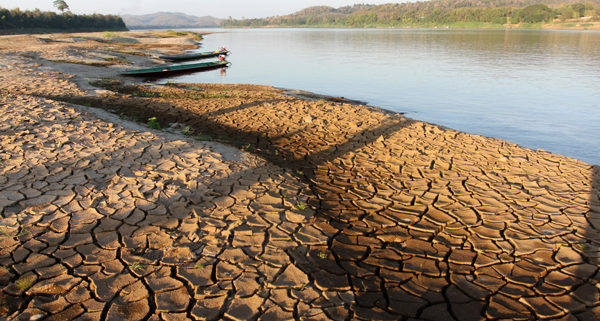 “Droughts have been occurring in the Mekong for years. The construction of many hydro-electric power plants on the river has resulted in scarcity of fresh water in the lower Mekong Delta. “Over 14 Million people in the Mekong Delta will be displaced, effectively becoming “Environmental Refugees“, homeless jobless and hungry, if sea levels rise by 1 meter! “Examining hydropower development within the Mekong Basin reveals an obvious conflict interest between the needs of upstream and downstream countries, and especially between the priorities of Mekong upper class decision makers directly or indirectly profiting from the dams and the majority of the rural poor, whose livelihood they put at risk. Endangered natural environments are, however, not only the Mekong delta, but also the Tonle Sap and southern Cambodian floodplains. These regions host over one-third of the Mekong Basin population, which depends heavily on fish catch as a source of daily protein. Migrating fish will, however, be hindered on their pathway by hundreds of metres of high concrete walls. Fish ladders on such constructions have proven to be mostly inadequate in design, and also cannot prevent migratory fish from losing their sense of orientation when they end up in a slow flowing large reservoir instead of a stream. At the dam sites themselves, forced relocation of rural populations often leads to a decrease in resilience and impoverishment. All the above underline the complexities of the water-food-energy nexus in the Mekong region. Many authors argue that the environmental and social costs of cascading the Mekong and its tributaries probably outweigh the benefits of energy generation, improved navigability, and associated economic development. In public media and the public debate, the large-scale transboundary impact of hydropower development is a politically charged topic. First and foremost, the main stem cascade of China is brought up when explanations are needed for any abnormal downstream situations. However, many authors addressing the topic of dam impact in the Mekong have come to contradictory results and conclusions. Many studies and assessment reports are biased and guided by the complex interests of their respective institutions. Flow and sediment related data often lack temporal or spatial coherence, and it is difficult to derive clear quantitative statements, although the general trends seem clear. Additional impacts on the variability of Mekong water flows, such as increasing water consumption for urban and rural areas, land use change, and the influence of climate variations, must be considered. At the same time, planned mainstream dams as well as operational and planned tributary dams in the lower Mekong Basin need to move more to centre stage. The Xayaburi case is a first good example, and more should follow. Despite the strong opposition of local populations to the dams of upstream riparian neighbours it is often forgotten that their own country’s government, companies and other interest groups are closely engaged in building and operating dams on their own territory—or are at least involved in electricity transfer schemes. Therefore, the common apprehension that downstream countries suffer unilaterally from the negative impacts of hydropower development in upstream countries seems only partly justified. The interests of upstream and downstream countries are not clear-cut because of the economic interaction of all Mekong riparians. All Mekong countries are involved in the regional power trade triggered by the GMS initiative. Thailand and Vietnam are the main net importers of electricity from upstream countries; Yunnan Province and Laos are the main net-exporters of electricity. Cambodia and Myanmar have large potential hydropower energy use, and especially Cambodia plans to increase hydropower development to benefit from electricity exports. Thailand and Vietnam support hydropower development in their neighbouring countries by providing national funds for investment in hydropower projects. In addition, especially Vietnam exploits its own hydropower potential without considering the impact on the Mekong delta further downstream. Many media, NGOs and INGOS emphasize the negative impacts of upstream dams, while at the same time national governments are signing large power trade deals in the background. Currently, each country tries to capitalize on its river location, regardless of the pending consequences for the overall health of the hydraulic system. The arena of players influencing the hydropower debate in the Mekong is extensive. It ranges from large international and national banks to riparian and non-riparian governments, private corporations, companies, supra-regional bodies and networks to INGOs, NGOs, foundations, scientific institutions, media and even to individual power-elite decision makers and lobbyists, all with their own interests. Whereas the future of Mekong hydropower seems to be shaped mainly by economic cooperation under the Greater Mekong Subregion Initiative, the role of the Mekong River Commission remains unclarified. If its members do not commit themselves to empowering this organisation to plan and implement river basin management, its influence via the development of recommendations, norms, and standards will be meagre. Much stronger involvement of local communities and local studies in impact assessments, the development of mechanisms to foster true cross-sector, trans-disciplinary dialogue that can percolate through different hierarchical levels of decision making, the harmonisation of assessment methods and data analyses, and an improved communication of Mekong related information in all riparian languages are only some of the challenges urgently needing attention. An important part of the puzzle that was left out, was not as clear at the time, and that is: the Water Hegemony by China. In its haste for power over the region in 2016 China formed the Lancang-Mekong Cooperation Group, which it controls. All riparian countries in the Mekong Basin now form part of this alliance, based on Trade Deals and Development goals. Repression and Abuse of Human Rights have increased in the region in the last year, with most LMB ountries following China’s Iron Fist rule. We fully agree that a stronger involvement of affected communities is essential in decision-making. Unfortunately, none of the above suggestions has truly eventuated, leaving 60 million poor people’s nutrition, health and livelihoods hanging in the balance… being forced by China’s into a “Market- lifestyle” instead of a “subsistence- lifestyle.“ Interestingly enough, the former actually exacerbates “poverty”, while the latter allowed them self-sufficiency, which they are now being deprived of. “Based on a critical review of the current trend of hydropower development, it (is) argued that existing approach of uncoordinated Mekong mainstream hydropower development cannot ensure sustainable development; rather it causes negative impacts on food security, livelihoods, biodiversity, and ecosystem across the river basin, especially countries in Lower Mekong Basin (LMB), including Cambodia, Thailand and Vietnam. As a result, it fails to bring positive net benefits at both national and regional level. Specifically, if all proposed mainstream dams are constructed and fully operated, Lao PDR is the only economically winner of billions USD after 20 years, while Thailand, Cambodia, and Viet Nam are losers, and total net value will be minus 275 billion USD. Early recognition of the “nexus” interactions amongst hydropower development and cross-border food security, water security and livelihoods can minimise the risk of diplomatic conflicts and social unrest, and is only enabled when member states are willing to divert high-level government priorities from national interests to transboundary interests, as implementing the nexus approach throughout the river basin could contribute to reducing trade-offs between hydropower development and basin-wide socio-economy, and increase synergies through implementation of benefit-sharing mechanisms towards a win-win outcome. We suggest that a New Committee be formed by: Diplomatic representatives of all Mekong riparian nations including China, scientists specialized in the Mekong River, Environmental adjudicators, Human Rights Defenders, CSOs and a strong presence of representatives of Riparian Communities affected by the Dams. And, NOT based in Laos. A good recent example of how local governments exclude representatives of affected communities and civil society groups, is the New Committee announced by the Stung Treng government in Cambodia. It is meant to address the concerns of the communities affected by the Lower Sesan2 Dam. Yet, it fails to have any community representatives, which is outrageous. Decisions cannot be made on behalf of communities without consulting them, and asking their input and KNOWLEDGE of the river, learned by living by the river. They know best what their needs are. Arias, M.E., Cochrane, T.A., Kummu, M., Lauri, H., Holtgrieve, G.W., Koponen, J., Piman, T., (2014). Räsänen T.A., O. Joffre, P. Someth & M. Kummu (2013). Trade-offs between Hydropower and Irrigation Development and their Cumulative Hydrological Impacts: A case study from the Sesan River. Räsänen, T.A., et al. 2017. Observed discharge changes due to hydropower operations in the Upper Mekong Basin. Journal of Hydrology, 545, 28-41. DOI: 10.1016/j.jhydrol.2016.12.023. Li, D., Long, D., Zhao, J., Lu, H., Hong, Y. (2017). Observed changes in flow regimes in the Mekong River basin, Journal of Hydrology (2017), doi: http://dx.doi.org/10.1016/j. jhydrol.2017.05.061. Maavara, T. et al. (2017). Global perturbation of organic carbon cycling by river damming – Nature Communications 8, Article number: 15347. May 17, 2017. doi:10.1038/ncomms15347. Kuenzer, C. et al. (2012). Understanding the impact of hydropower developments in the context of upstream–downstream relations in the Mekong river basin. Sustainability Science · August 2012. ‘Environmental refugees’ in Mekong River Delta expected in future, experts say – News VietNamNet, Nov. 2, 2016. New body to address Sesan dam concerns. Phnom Penh Post, Jan 27, 2017. Facts: DFAT provides Funds & Encourages Hydropower Dam Development in the Mekong River Basin, specifically in Laos, as per document below. The disastrous social, economic and environmental Impacts of Hydropower Dams on the Lower Mekong Basin (LMB) and its people? The rampant violation of Human Rights by China, Laos and Cambodia associated with Dam construction? Q2: Shouldn’t DFAT support Vietnam and the 20 million people that live on the Mekong Delta by calling for a STOP to Dam construction in the LMB? That is, should Australia reject the economic hardship caused by the potential collapse of the Mekong River Delta – through the loss of land and properties by salt intrusion and rising sea levels – leading to a massive Humanitarian Crisis with the displacement of 7-14 Million people? Thus, an “Environmental Refugee Exodus” of an unprecedented scale? Q3: Shouldn’t an important Department such as DFAT adhere to the truth and facts when publishing Foreign Policy in its website? 1. Australia is NOT “helping the better management of water resources in the Mekong basin”. Well on the contrary, DFAT is helping RUIN the Water Resources by promoting and funding Dams! See impacts below. Loss of fisheries and agricultural revenue, which will only get worse. By helping put these countries into enormous crippling debt with China and Thailand to finance the Dams and infrastructure needed. Through the sinking of the Mekong Delta by lack of upstream sediments blocked by the Dams, leading to Salt intrusion by rising sea levels. This in turn, ruins the land and makes it unusable, having already forced the exodus of thousands of farmers from the Delta to the cities in 2016. Dams retaining water have resulted in parts drying up and damaging the Tonle Sap Lake wetlands: vital fisheries nurseries to the Mekong River. Hence, affecting the economy and the poorest people dependent on fisheries, by loss of food supply. 3. Claiming to “protect the 60 Million people that rely directly on the Mekong River for their livelihoods” is scandalous and dishonest. Instead, DFAT is doing exactly the opposite: you are jeopardizing the vital Food Security, Water supply and productive riparian areas on which 60 Million people depend! 4. Hydropower is NOT VITAL for the future of LMB countries! Other sources of energy can be used, including Solar, Wind, Bio-Fuel & even Micro-hydro. 5. Transparent management of Hydropower in the region? Really? For over a decade now DFAT’s Trade partner China, has been promoting repression in the region, resulting in lack of transparency and information blackout. Furthermore, Chinese Developers, Thai Developers and Malaysian Developers have not fulfilled their contractual duties to the displaced communities: the compensation packages are dismal, training has not eventuated, resettlement land offered is non-arable so people cannot even grow their food! Moreover, Developers have not undertaken Free Prior Informed Consent nor Community consultation of any kind until AFTER starting the construction of the Dams. Also, by not allowing information or even visits to the Dam sites not even by journalists. Where is the transparency in the above? Exactly how is DFAT helping achieve transparency? 6. Planning hasn’t worked out in Laos as per your own report (above), because the Laotians don’t care and don’t follow up. 7. There is no such thing as “building Hydropower Dams sustainably“… This statement is OUTRAGEOUS! Hydropower Dams in the Mekong River Basin are already fragmenting the river; reducing Biodiversity, Productivity and Fisheries; creating droughts; damaging Wetlands and Floodplains; and sinking the Delta, to mention a few! See more information and articles that support our statements below. 1) Hydropower Dams Environmental impacts: BLOCK Fish Migrations, Sediments, Nutrients, Change the Hydrology, Change the Geo-morphology of the rivers, and reduce Water supply downstream and constantly change the water levels disrupting the stability of the ecosystems. Given that the key to productivity of the Mekong is FLOODING and the sediments and nutrients carried by the waters and spread out throughout the floodplains and tributaries, the reduced floods are having serious deleterious effects (and dozens of planned dams are not yet built). That is, decreased productivity, depleted fisheries and reduced biodiversity in the Mekong River and tributaries. Effectively, Hydropower is putting at RISK the Food Security & Water Supply of 60 Million people! Hence, Oz is helping create a Humanitarian Crisis like never before seen! Please don’t tell us that the Dam engineering has been fixed to allow fish and sediment passage. Below we provide studies that show they do not work! Besides,not all sediments accumulate at the Dam wall. The majority of sediments are spread in the bottom of the huge reservoirs, so will not be going down the Dam improvements any time soon! See supporting studies below. 2) Hydropower Dams have INCREASED POVERTY in Laos and Cambodia among displaced communities instead of benefiting them. Please do NOT use the excuse of “Reducing Poverty & increasing Quality of Life”. There are several studies in Laos and Cambodia that PROVE that POVERTY HAS INCREASED with different Dams, with Women and children suffering the most! See supporting studies below. 3) Hydropower Dams are constant sources of Green House Gases – i.e. Methane, CO2, Nitrous Oxide. Hydropower is NOT Green & Clean Energy, as advertised by China and Australia to justify the construction of more Dams. Far from it. In fact, one large Dam produces more GHG than a coal plant! These GHG trigger more Climate warming, resulting in rising sea levels. This in turn, infiltrate the Delta and ruin very productive land, displaces millions of people and ruins the economy of Vietnam… See supporting studies below. 4) Hydropower Dams are posing a serious threat to the viability of the Mekong Delta, the most productive area of the River, the Granary of SE Asia, home to 20 Million people. Studies’ results indicate that hydropower development dominates the changes in floodplain sediment dynamics of the Mekong Delta, while sea level rise has the smallest effect. The Delta is already sinking, lost nearly 1 Million hectares to seawater intrusion in 2016. If it SINKS by 1meter, 7-14 MILLION people will be displaced & become “Environmental Refugees” – homeless, jobless, hungry. A man-made, partly Australian funded and promoted, Humanitarian crisis without precedent is taking place now and will get worse if any more Dams are built! See supporting studies below. 5) Hydropower Dams in Laos & Cambodia are being built on Human Rights Violations and Repression. Where communities displaced by Dams have NO voice, nor real consultation- despite false claims by the governments. They are forcefully evicted and resettled against their will. Resettlement villages offer non-arable barren land, are over 25Km from the River they know, and often, have no electricity. People can’t grow food, can’t fish and have no money to buy food… How are they to survive? China says they will have to change from a “subsistence living” and adopt a “Market life style”. Promised training has not been consistent nor does it include all displaced people, leaving most hungry. See supporting studies below. 6) Hydropower Development in the Mekong Basin is focused on “Trade Agreements”, which supersede the needs of the people and the environment. The Chinese Government has State Owned Enterprises (SOEs) such as the biggest Hydropower dam Developer in the World “Sinohydro”, and others. Chinese companies unashamedly and openly offer “donations” of great amounts of money to Political Parties, Rich influential individuals (the Elite), Companies and Government Officials to push their projects. the Sekong Dam, Stung Treng Dam and Sambor Dam. Ratifies our suspicion about the Chinese Government influencing Australian business & politics. 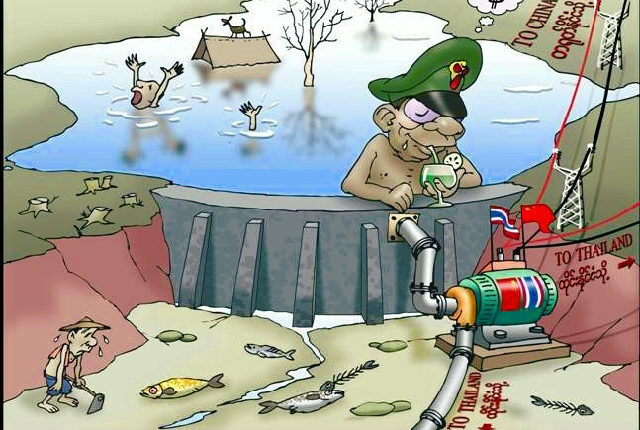 Explains the joint Hydropower projects in Laos between #DFAT & Dam Developer #Sinohydro. We can now add: “Chinese Businessmen offer BRIBES and Trade official receive them”! Australian DFAT must STOP any involvement in Hydropower Development in SE Asia to avoid being partly responsible for economic and irreversible environmental damages to the Lower Mekong River Basin, resulting in a massive Humanitarian Crisis. DFAT wouldn’t be representing or abiding by the “compassionate principles that characterize the Australian people” if it persists in condoning and funding an environmental, economic and social disaster! Australian Tax payers dollars would be better used on urgently needed sewage treatment systems in the Mekong Delta & Tonle Sap Lake areas, to improve water quality and reduce disease. DFAT Foreign Policy White Paper Live Q&A with Foreign Minister Bishop was a disappointment. Mrs. Bishop emphasized “it is very important for the Government to get the views of Australians”. Yet, the “Community Consultation” lasted 30 minutes! So much for Democracy! Julie Bishop insisted that Australia’s Foreign Policy is totally aimed at “Reducing Poverty”, “Enhancing the lives of our neighbours”, “Helping Create Economic Growth and Prosperity for all”... Not quite the on-ground reality. This Submission was not mentioned. Bishop did not reply to controversial questions, and the short time allocated ensured there was no time! We hope that by sending this Submission as a “Paper Document” addressed to her office, she may consider replying to our questions. * Intralawan,A., D. Wood and R. Frankel (2015). Working Paper on Economic, Environmental and Social Impacts of Hydropower Development in the Lower Mekong Basin. Natural Resources and Environmental Management Research and Training Center, Mae Fah Luang University, Chiang Rai, Thailand, 15pp. Also known as the “EESI Report”. In: Comments on: Final Report – Study on the Impacts of Mainstream Hydropower Dams on the Mekong River – Impact Assessment Report. L. Corredor – on behalf of Scientists for the Mekong- January, 26, 2016. * Zarfl C, Lumsdon A.E., Berlekamp J, Tydecks L, Tockner K. (2014). A global boom in hydropower dam construction. Aquatic Sciences 77: 161–170. * M.J. Noonan, J.W.A. Grant & C.D. Jackson (2012). A quantitative assessment of fish passage efficiency. Fish and Fisheries (Impact Factor: 8.26). 12/2012; 13(4). * Dugan, P. (2008a). Examining the barrier effects of mainstream dams to fish migration in the Mekong, with an integrated perspective to the design of mitigation measures (Conclusions from an independent Expert Group Meeting). Presentation at Regional Multi-Stakeholder Consultation of the MRC Hydropower Programme, 25-27 September 2008 in Vientiane, Lao PDR. * Barlow, C. (2008). Dams, ﬁsh and ﬁsheries in the Mekong River Basin. Catch & Culture, vol 14, no 2, September, Mekong River Commission, Vientiane, Laos. * Kummu M., J. Koponen & J. Sarkkula (2008). Upstream Impacts On Lower Mekong Floodplains: Tonle Sap Case Study. AMBIO A Journal of the Human Environment (Impact Factor: 2.29). 06/2008; 37(3):185-92. * Baran E. and B. Ratner (2007). The Don Sahong Dam and Mekong Fisheries. A science brief from the WorldFish Center, Phnom Penh, Cambodia. * Baird, I.G., B. P. Shoemaker & K. Manorom (2015). The People and their river, the World Bank and its dam: Revisiting the Xe Bang Fai River in Laos. Development and Change 46(5): 1080-1105. * Baird, I.G & N. Quastel (2015). Rescaling and Reordering Nature–Society Relations: The Nam Theun 2 Hydropower Dam and Laos–Thailand Electricity Networks. Annals of the Association of American Geographers, DOI: 10.1080/00045608.2015.1064511. * Interview Vérité d’Anne-Sophie Gindroz, auteure de : “Au laos, la répression silencieuse” – Youtube – in French – March 20, 2016. https://www.youtube.com/watch?v=44iNzzMAcX8. 3) Hydropower Dams are constant sources of Green House Gases – Methane, CO2, Nitrous Oxide. NOT Green & Clean Energy. 4) Hydropower Dams serious threat to the Mekong Delta. * Bosshard, P. & P. Dandikar (2014). Life-Giving Deltas Starved by Dams. – Huffington Post . * Kuenzer C., Campbell I., Roch M., Leinenkugel P., Vo Quoc Tuan & Dec S. (2012). Understanding the impact of hydropower development in the context of upstream–downstream relations in the Mekong River basin. Sustain Sci., DOI 10.1007/s11625-012-0195-z, @ Springer Japan 2012. 5) Hydropower Dams in Laos & Cambodia are being built on Human Rights Violations and Repression. * Philip Hirsch (2016). Laos mutes opposition to controversial Mekong dam. * Laos: Come Clean on Activist’s ‘Disappearance’. Human Rights Watch. Dec. 15, 2016. * Mekong Commons (2015). Silence of the Dammed – Missing voices in Don Sahong. July 12, 2015. * Open letter to Participants of the 2015 Lao Donor Round Table Meeting | Human Rights Watch, Nov. 5, 2015. * Lao Court Jails Polish Activist Following Online Criticism of Government – 1 Nov 2015. * Few Surprised as Laos Fails to Win U.N. Rights Council Seat – Oct 2015. * DFAT (2014). Making Performance Count: enhancing the accountability and effectiveness of Australian Aid – Department of Foreign Affairs and Trade, Nov. 14, 2014. 6) Hydropower Development in the Mekong Basin is focused on Trade Agreements that supersede the needs of the People, the Best Management of the Environment and Protection of Resources. *McColl,G. & P. Wen (2016). Foreign Minister Julie Bishop’s links to Chinese political donors. The SMH, August 26, 2016. * Chinese political donations raise questions – Chinese companies are the biggest corporate donors to Australia’s major political parties. Courtesy ABC News 24. * B.Grimm Power allots B1.8bn for Laos. Bangkok Post: news, March 21, 2017. http://www.bangkokpost.com/news/asean/1218361/b-grimm-power-allots-b1-8bn-for-laos? The MRC should stop finding excuses, and take decisive action to stop Laos and Cambodia from going ahead with any further Hydropower Dam development in the Mekong River mainstream and major tributaries. Is NOT sustainable; is NOT a Clean & Green Energy technology; is a constant source of GHG emissions (CO2, CH4, N2O); has been blocking fish migrations since the construction of the Xayaburi Dam in Laos in Nov. 2012; is risking the Food Security of 60 Million poor; is leading to the extinction of hundreds of aquatic species including the Giant Cat Fish, Giant Ray, Irrawaddy Dolphins, and dozens of fish species vital to the diet of communities in the Mekong River; is significantly reducing Biodiversity , and thereby affecting the aquatic food chain; diminishing the fish populations, and thus diminishing the nutrition and health of millions of people who depend on fish for survival; is blocking a high percentage of vital sediments and nutrients that ensure the productivity of the river; is changing the geo-morphology of the river; is further damaging the Tonle Sap lake & Wetlands – i.e. fisheries nursery areas; is reducing water quality; reducing water flows by the upstream Dams in China, Laos and Cambodia; is ensuring the sinking of the Delta by lack of sediments that keep it afloat; is ruining the productivity of the Mekong River and its Delta both on land and in the aquatic ecosystem by lack of rich nutrients; is promoting an “Environmental Refugees Exodus“ with Farmers forced to leave the Delta because of sinking lands ruined by salinization; is impacting the economies of Vietnam and Cambodia by loss of fisheries & productive lands, among other issues. Hydropower Dams in the Mekong basin are actually INCREASING POVERTY and Despair, instead of “improving the standard of living and decreasing poverty” as falsely advertised. It is displacing tens of thousands of people from poor communities from their homes, lands and cultural sites, while offering a dismal compensation, which does not support the people to cultivate food or to fish, forcing them into a “market-life style” promoted by the Chinese, but without appropriate training nor money for food! (Despite the empty promises by the Developers to provide training). Biodiversity is deeply interlinked with Food Security & Nutrition, and they all depend on a Sustainable Ecosystem. Thereby the need to protect ecosystems that support high biodiversity such as the Mekong River! It is sheer lunacy to knowingly continue building Hydropower Dams, which are NOT sustainable developments, enhance Extinction rates, put at RISK the Biodiversity, the Food Security, Nutrition & Health of 60 Million poor people in SE Asia! As it stands, the damage done to fish migrations and biodiversity during the past five years by the three Dams under construction (Xayaburi, Lower Sesan 2, and Don Sahong Dams) – which are blocking their reproductive journeys up and down the mainstream and main tributaries, is already irreversible! “Examining hydropower development within the Mekong Basin reveals an obvious conflict interest between the needs of upstream and downstream countries, and especially between the priorities of Mekong upper class decision makers directly or indirectly proﬁting from the dams and the majority of the rural poor, whose livelihood they put at risk. Main stem and tributary hydropower dams impact ﬂood-pulse timing variability, which can have grave effects on ecologic niches, ecosystems and biodiversity. They lead to a long-term decrease in downstream sediment load, which reduces the nutritious load to plains, wetlands and agricultural areas. Sediment loss is expected to aggravate coastal erosion and saltwater intrusion in the Mekong delta—a region already threatened by sea level rise. Endangered natural environments are, however, not only the Mekong delta, but also the Tonle Sap and southern Cambodian ﬂoodplains. These regions host over one-third of the Mekong Basin population, which depends heavily onﬁsh catch as a source of daily protein. Migrating ﬁsh will, however, be hindered on their pathway by hundreds of metres of high concrete walls. Fish ladders on such constructions have proven to be mostly inadequate in design, and also cannot prevent migratory ﬁsh from losing their sense of orientation when they end up in a slow ﬂowing large reservoir instead of a stream. Any new Dams will ensure the extinction of hundreds of aquatic species, a massive loss of biodiversity, the irreparable damage to the Tonle Sap Lake nurseries, will continue sinking the Mekong Delta, and increase the number of ‘Environmental refugees’ fleeing the Delta. Such exodus already started in early 2016, with thousands of Vietnamese being forced off their land by subsidence, salinization and drought. This resulted in the loss of productive land in the Delta and with it, the loss of crops and property. The more Hydropower dams are built upstream, the more serious the impacts felt downstream! Every new Hydropower Dam is another nail in the coffin of the Mekong Delta of Vietnam. According to Dr. Le Anh Tuan of Can Tho University (Personal Communication, Feb 2016), over HALF the population of the Mekong Delta, i.e. 10 MILLION people (!) could become “Environmental Refugees” as the result of the Mekong Delta sinking over 1-1.5 metres – courtesy of more Hydropower dams upstream retaining vital sediments that keep the Delta afloat; and, exacerbated by rising sea levels due to Climate Warming. In turn, Climate Warming is further increased by constant GHG emissions by Hydropower Dams! It has been estimated that, if the sea level rises by ONE METER > 39 % of the Mekong River Delta’s lands will be under water! “The Lao government has already decided to go ahead with the [Pak Beng] project because it is a good project,” he said. NOTE: A main Laotian bureaucrat that makes the decisions that affect the Lower Mekong River and WHO SEES NO VALUE IN A RIVER, which feeds 60 million people, supports a $7 billion dollar fisheries industry, provides water for drinking, irrigation, a multi-million dollar aquaculture industry, and supports a multi-billion agriculture industry, among a myriad of other services, is indeed a serious threat to the shared governance of the Mekong River. Economies of Vietnam and Cambodia. It is unacceptable that this be done to favor Trade Agreements, which mostly benefit the Elite, Developers, Companies and Banks, but not the people. This lack of social and environmental responsibility is immoral and highly unethical! We urge the MRC to STOP the “diplomatic excuses” and take action as per your mission statement. There are enough studies that support a Ban on Hydropower Development in the Mekong basin for all the reasons stated above, and as the MRC itself advised in 2010. Laos and Cambodia must not be allowed to build any more Dams in the Mekong River Mainstream or major tributaries, as proposed. If the MRC really cared and wanted to align to its core mission of ensuring the balanced and equitable use of the Mekong River, it could apply the principles of International Law – regarding the Shared Governance of the Mekong River – by taking the case to the High Court in Geneva to resolve the issues of: protection of the Food Security of 60 Million people, the biodiversity and the viability of the Mekong River Ecosystem. For other details, we invite you to listen to our Podcast #1 , which offers the public an Overview of this “Mekong River Ecocide”, and spells the facts as they are. A forthcoming Second Podcast will address: the MRC lack of responsibility permitting the construction of other Dams, such as Pak Beng Dam to go ahead. We’ll also expand on the impacts on the Mekong Delta, the Tonle Sap Lake & Wetlands, Aquaculture and more. In this article we examine the politics of Energy generation in Cambodia: the role of the corrupt Cambodian Elite in framing the future of energy production in this nation, the Trade deals between the Elite and Chinese consortium, the falsehood of Dams playing a role in “poverty alleviation“ and the Australian connection to this story. We name only a few Cambodian prominent people, as an example of other similar influential individuals that form part of The Elite, which make decisions for the majority of extremely poor Cambodians. Unsurprisingly, this Elite is purposefully impacting on the Social and Environmental well-being of Cambodians, for their own monetary gain, while using “economic competitiveness and development” as an excuse. 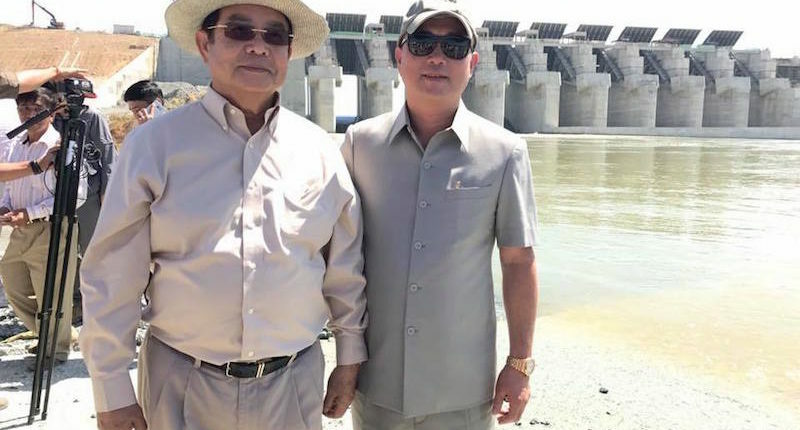 Cambodian People’s Party Senator Lao Meng Khin, is the co-owner of the Coal Plant facility CIIDG Erdos Hongjun Electric Power, in Preah Sihanouk province. Along with the neighbouring Coal plant owned by Malaysia’s Leader Universal Holdings, both coal-powered plants tripled the energy output in 2016 compared to that in 2014. This is not just a business venture, nor is it good news, as it means that a lot more coal was burnt and therefore, Cambodia has been responsible for a dramatic increase in CO2 and other GHG emissions from just these 2 coal mines. ANZ/Royal Group Chairman, Kith Meng, an Australian-Cambodian citizen (ex-refugee with a very tarnished reputation for shady deals), is a close friend of Cambodia’s dictator PM Hun Sen and his family. Kith Meng is said to often accompany Hun Sen for his Health checks and shopping. 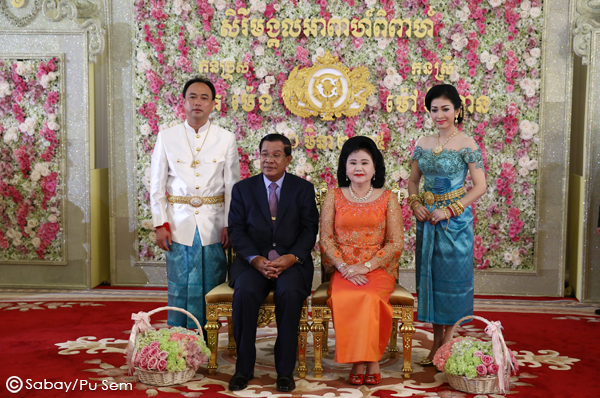 Hun Sen and his family attended Kith Meng’s marriage in March 20, 2015. We can assume that nepotism is rife and that Kith Meng convinced Hun Sen to support his move for an increase in Hydropower Development in Cambodia, and promoted the acceptance of Chinese loans towards his goal. This wouldn’t be surprising given Meng’s close ties to both Hun Sen and the Chinese SOEs, and the fact that his conglomerate the Royal Group is now building the Lower Sesan2 Dam n NE Cambodia with Chinese developer Hydrolancang International Energy. Unfortunately, Kith Meng’s Royal group, has left behind a nasty trail of lack of integrity, and disregard for social and environmental principles for their projects. The LS2 Dam is the largest Dam built to date in the Lower Mekong Basin, and is considered the most dangerous Dam in the Lower Mekong River basin for many reasons. 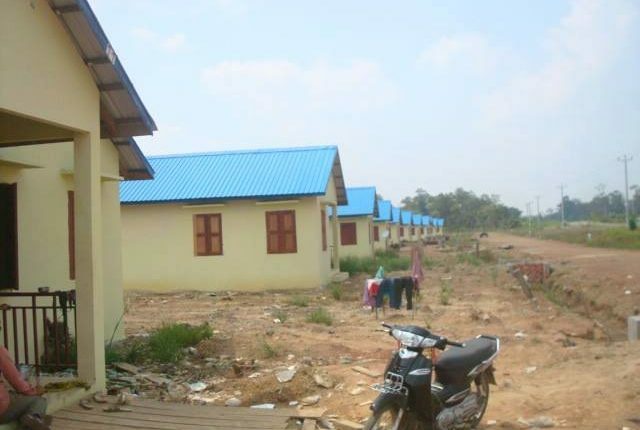 There have also been complaints against a Kith Meng’s Mining company, CLY Investment, in Kompong Svay by over 100 villagers who accused it of encroaching on their farmland. However, Kith Meng complained about this order and refused to stop. So then in June 2016, the Sihanoukville government not only ordered the Royal Group to stop construction of the Koh Rong port, but also gave orders for it to be dismantled and the area restored. Three yachts including one belonging to Kith Meng were burnt, presumed to be arson. In addition, Kith Meng’s Royal Group has also decided to build its own Coal-fired Plant – no doubt with the blessing of the Australian Government – rather than financing one. This speaks volumes as to the personal financial interests of Kith Meng and his disregard for Climate Warming. Recently, Kith Meng’s Royal Group announced that it will back the construction of THREE new extremely destructive Hydropower Projects in the Mekong River, despite many studies demonstrating their irreparable and destructive Social and Environmental impacts, i.e. two mega-Dams in the mainstream of the Mekong River, the Stung Treng Dam and Sambor Dam; and the Lower Sekong Dam in one of its main tributaries. For his lack of Social and Environmental responsibility and self-serving modus operandi, we have dubbed Kith Meng: “Cambodia’s Traitor‘. The Royal Group’s consistent violation of Management and Environmental Guidelines, the disregard for communities rights and needs, and the breach of government permits, among many other misdemeanors, certainly create a very poor image and an unpromising track record for Kith Meng’s Royal Group. Their dark history leads us to question the wisdom of their involvement in the construction of 3 new Mega-Dams. Particularly, when such Dams have been even more rejected by scientists than the LS2 Dam, and deemed disastrous for the enormous social and environmental impacts they will have. Furthermore, in Nov. 2015 the Cambodian Royal Group signed a $1.5 Billion MoU (Memorandum of Understanding) with Chinese conglomerate ‘Herun Group’ to establish a development company in Cambodia with investments in many sectors. This financial partnership further raises the question about the ethics of allowing Cambodian and Chinese conglomerates to build THREE Mega-Dams and thereby, make fundamental Social and Environmental decisions that will irreversibly affect the Mekong River ecosystem, its fisheries and its communities for all time, and increase Climate Warming. Particularly, when such decisions will most likely be biased towards protecting their own investments, i.e. a conflict of interests. 1) #Coal deals for Australia with @TurnbullMalcolm. 4) As Chairman of the ANZ Royal Group – Meng peddles multi-billion dollar investments in #Dams for ANZ Bank (Australia & New Zealand Bank). Yet, Australia’s ANZ claims that it has no deals with ANZ Royal Group… This is difficult to comprehend given that the Royal Group owns 40% of ANZ! 5) Through his partnership with the Chinese SOE Herun Group, he provides work for Chinese #Dam Developers (i.e. 3 mega-Dams) and cashes in the #Dams. Moreover, he probably also makes a hefty commission from all the necessary infrastructure, electric High Voltage Lines, and electrical gadgets produced by China’s SOEs, which are part of a “package deal” with Dam Developers… or through his own partnership with the Herun Group. The Australian government’s “$143 million rail rehabilitation project” with the Asian Development Bank (ADB), supported a shady contract with Toll Royal Railway’s and it’s partner the Royal Group. This project came under scrutiny in 2014 when an internal audit revealed the ADB failed to ensure just resettlement and compensation for more than 4,000 families impacted by the works. In addition, through its Department of Foreign Affairs & Trade (DFAT), the Australian government has also been involved in encouraging and funding Hydropower projects in the Mekong Basin (specifically in Laos). Moreover, as it is clearly and unashamedly advertised in DFAT’s website, such Hydropower projects were executed in partnership with the world’s Number ONE Chinese Dam Developer SynoHydro. This kind of arrangement clearly supports Australia’s CHaAFTA Trade Agreement with China, with total disregard both for the devastating social implications for thousands of Laotians, as well, a disregard for the ecological welfare of important Mekong tributary rivers. Such a statement is the epitome of double-standards and falsehood! Australia’s interest in the Mekong region is clearly one of “Trade Agreements” = where to get profits! The very principle of Dams as walls that block a river is “unsustainable” per se. We clarify that we don’t have an issue with Australia boosting its economy through Trade Agreements – if these were for the benefit of all. What we have an issue with is that those AustralianTrade Agreements are neither sustainable, nor socially ethical!Dispossessing 60 million people of their FOOD SUPPLY and WATER SUPPLY through the construction of #Dams, encouraging the displacement of tens of thousands of poor people to substandard re-settlements, and increasing their level of poverty is not only unethical but immoral. 2) The mining, selling and burning of Australian COAL is guaranteeing further unsustainable Climate Warming. In this light, Australia’s economic policies, international investments and Trade Agreements, are clearly highly irresponsible, and verge on Criminal! In summary, irreparable damage to the Mekong River Basin environment and its social structure is taking place at break-neck speed. That is, vital resources (i.e. Food and Water Supply) that support and feed 60 Million poor people in the Mekong Basin are being jeopardized by: Conglomerates, Developers, Banks, corrupt politicians, The Elite, distorted Foreign Aid programs and even NGOs, such as Oxfam Australia – all in the name of Poverty reduction, Economic Development & Growth. The in ground reality is that poverty has increased, communities that were once self-sufficient have been uprooted and displaced, now have a much lower standard of living and live in despair. “It is not nations that are the winners or losers in the hydropower schemes in the Mekong, but rather parts of the riparian population: a few influential and powerful elites versus the large mass of rural poor. Examining hydropower development within the Mekong Basin reveals an obvious conflict interest between the needs of upstream and downstream countries, and especially between the priorities of Mekong upper class decision makers directly or indirectly proﬁting from the dams and the majority of the rural poor, whose livelihood they put at risk. Main stem and tributary hydropower dams impact ﬂood-pulse timing variability, which can have grave effects on ecologic niches, ecosystems and biodiversity. They lead toa long-term decrease in downstream sediment load, which reduces the nutritious load to plains, wetlands and agricultural areas. Migrating ﬁsh will, however, be hindered on their pathway by hundreds of metres of high concrete walls. Fish ladders on such constructions have proven to be mostly inadequate in design, and also cannot prevent migratory ﬁsh from losing their sense of orientation when they end up in a slow ﬂowing large reservoir instead of a stream. At the dam sites themselves, forced relocation of rural populations often leads to a decrease in resilience and impoverishment. The latest study by Manorom, K, Baird, I.G. & Shoemaker, B. (2017), clearly found that the World Bank’s Hydropower-based Poverty Alleviation is far from reality for Indigenous Peoples in the Xe Bang Fai River Basin of Lao. “In redeﬁning dams as a vehicle for poverty alleviation, the World Bank has pointed to the purported success of one of its only recently completed large dams, the NamTheun 2 Hydropower Project (NT2) in Laos, as providing justiﬁcation for this move. “NTPC, the World Bank, and the GoL have failed to conduct the type of assessment or mitigation and compensation measures that would appear to have been appropriate in the XBF River Basin for ethnic Brou people, and particularly Brou women, who should have been recognized as Indigenous Peoples. Our study reveals that NT2 has transformed the XBF River in ways which negatively impact many local communities but especially the Indigenous Brou. The NTPC and GoL have expressed the belief that NT2 would help alleviate poverty in rural communities of Laos, including by leaving project-affected people no worse off than before the project. However, while many factors impact local economies and livelihoods, Brou voices in the XBF Basin indicate that poverty clearly remains and, in affected areas, has been exacerbated by NT2, especially for women. Equitable distribution of development opportunities was supposed to be generated by NTPC, and have been promoted by the World Bank, but these have not effectively improved the livelihoods of most affected people. it is all simply about ‘Trade Agreements’ – no matter the cost! We call this situation the ECOCIDE of the Mekong. “Stephen Higgins, managing partner of investment firm Mekong Strategic Partners, said that while coal plants can be built more quickly than Hydropower dams, the government needs to take into account the amount of air pollution they emit. “From an environmental perspective, does Cambodia really want its beach destinations suffering from the pollution from coal-fired power stations?” he asked, adding that from an economic perspective coal is struggling to compete with the diminishing investment costs of renewable energy. Good on Mr Higgins! Finally some sanity amidst the chaos. Kith Meng Backs Plans for Three Hydropower Dams.https://www.cambodiadaily.com/morenews/kith-meng-backs-plans-for-three-hydropower-dams-124528/ The Cambodia Daily, Fe. 3, 2017. Final Report – Study on the Impacts of Mainstream Hydropower on the Mekong River – Impact Assessment Report. – Report prepared by Malmgren-Hansen, A. (DHI), Anwar Khan (HDR) & Kim Wium Olesen (DHI) for the Ministry of Natural Resources and Environment, Vietnam (VNMC) – January 18, 2016. Grimsditch M. (2012). 3S Rivers under threat – Understanding new threats and Challenges from Hydropower Development to Biodiversity and Community Rights in the 3S River Basin. Published by 3S Rivers Protection Network & International Rivers. Governor offers help to farmers in land dispute with Kith Meng. The Cambodia Daily, Dec. 30, 2014. Gov’t halts building of Koh Rong island port. The Phnom Penh Post. June 15, 2016. Corredor, L. (2015). LIST of Damages by Hydropower Dams on the Mekong Basin. Scientists for the Mekong. Independent Analysis of the Mekong Delta Study (MDS) Impact Assessment Report – Prepared for Oxfam Mekong Regional Program, by Dr. Sokhem Pech, Chheng Phen, & Tes Sopharith, Version 1, Nov 28, 2015. In: Comments on: Draft – Study on the Impacts of Mainstream Hydropower Dams on the Mekong River (MDS), Impact Assessment Report – L. Corredor on behalf of Scientists for the Mekong – December 17, 2015. Kuenzer C., et al. (2012). Understanding the impact of hydropower development in the context of upstream–downstream relations in the Mekong river basin. Sustain Sci., DOI 10.1007/s11625-012-0195-z, @ Springer Japan 2012.
and Laos–Thailand Electricity Networks. Annals of the Association of American Geographers, DOI: 10.1080/00045608.2015.1064511. Deemer, B.R. et al. (2016). Greenhouse Gas Emissions from Reservoir Water Surfaces: A New Global Synthesis. BioScience 2016; 66 (11): 949-964. doi: 10.1093/biosci/biw117. Scientists have just detected a major change to the Earth’s oceans linked to a Warming Climate. The Washington Post, Feb. 15, 2017 . Scientists for the Mekong offers SE Asian Decision Makers, Scientists, Fisheries Experts, International Aid Organisations, NGOs and the public, the opportunity to peruse the FINAL REPORT of the latest study on the Impacts of the cascade of 11 planned Hydropower Dams in the Mekong River – on the Cambodian Tonle Sap Lake & Wetlands, and on the Mekong River Delta in Vietnam. This much awaited 30-months study, also known as the Mekong Delta Study-Impact Assessment Report (MDS-IAR) was completed in December 2015 and published early January 2016. It was commissioned by the Ministry of Natural Resources and Environment, Vietnam – and prepared by two consultant companies DHI & HDR. This study received some financial support from Australia’s DFAT. 1) A brief discussion of the ‘Ripple Effect’ of Oxfam Australia’s intervention and unethical conduct regarding the MDS-IAR Study. That is, we examine the actions taken by Oxfam Australia regarding the findings reported in the DRAFT of the MDS-IAR Study, and the significant events that followed. Before the release date of the Draft MDS Study (20-25 October 2015), however, Oxfam Australia had already commissioned and organized a team to undertake a NEW study to ‘ANALYZE’ the DRAFT of the MDS-IAR (!). NOTE: We will refer to this new study commissioned by Oxfam Australia as the “Oxfam Analysis”. For simplicity, we will refer to ‘Oxfam Australia’ as ‘Oxfam’. WHY was it necessary for Oxfam to fund, organize and manage a team to conduct a NEW study on the 30-month long MDS-IAR Study? WHY had Oxfam organized a Team before the Draft was officially released? WHY did the Oxfam team tear apart and invalidate the results of the MDS Study? WHY did Oxfam go to such lengths to promote the invalidating statements of the “Oxfam Analysis” at subsequent Meetings with stakeholders? WHY did Oxfam insist the Consultants Change the Recommendations in their Final Report of the MDS-IAR Study? We reveal the “Ripple Effect” of the Oxfam Analysis and suggest explanations for Oxfam’s unethical conduct. The Oxfam Analysis effectively questioned the “credibility” of the findings of the MDS-IAR Study, and its comments and conclusions “invalidate and discredit” the MDS Study’s results as a whole. Oxfam subsequently promoted vigorously the results of its ‘Oxfam Analysis’, which rattled the Vietnamese, Cambodians, and all other stakeholders. We refer to this promotion of misleading and invalidating statements regarding the MDS Study, as a discrediting Campaign by Oxfam Australia. The discrediting campaign of the MDS-IAR Study that followed the ‘Oxfam Analysis’ publication – consisted of the promotion of the Oxfam Analysis and its invalidating statements, which took place at: a Workshop organized by Oxfam Australia in Cambodia (20th November 2015), and at the Meetings of the Cambodia National Mekong Commission (CNMC) and Vietnam National Mekong Commission (VNMC) in late November and early December 2015, respectively. Participants to these Meetings reported to us the “trashing” of the MDS Study by Oxfam and Cambodian stakeholders, and subsequently by the Vietnamese stakeholders. This was perceived as Oxfam’s support for Hydropower Development by Laos and Cambodia – both by other stakeholders, as well as by members of the CNMC. The Oxfam team candidly admits that its “Scientific Analysis” of the Draft of the MDS Study was shared around and the opinions and comments of stakeholders and others present at the meetings were INCORPORATED into the Oxfam Analysis final report (!). I can attest the Draft Oxfam Analysis was “passed around gathering opinions” because I GOT A COPY sent to me by some stakeholders… except I was not asked nor allowed to provide opinions. This is relevant because the ‘Oxfam Analysis’ and the subsequent discussions regarding the ‘validity and credibility’ of the MDS-IAR Study, led to changes being made to the original recommendations in the Draft and incorporated into this Final Report. This amounts to Oxfam promoting “tampering with the results” of “scientific” studies, which are supposed to provide a solid basis for decision-making on extremely important matters – such as risking the Food security and livelihoods of 60 million people! Tampering with the results of studies funded by Oxfam Australia is highly unethical! Reason why we condemn Oxfam’s conduct, and deem the “Oxfam Analysis” lacking in “scientific acumen”. The “Ripple Effects” of the ‘Oxfam Analysis’ and the discrediting campaign of the MDS Study, appear to have encouraged and led Cambodia and Laos to announce a massive increase in the number of Hydropower Dams to be built: a total of 364 NEW dams !!! (i.e. 350 dams for Laos and 14 Dams for Cambodia). This staggering number of new dams will be built with the financial support of loans by China. If allowed to be built, these new Dams will have disastrous consequences for Cambodia and Vietnam at economic, social and environmental levels. 2) We provide our general conclusions on the findings of the FINAL Report MDS-IAR study. We also contend that the consultants were pressured by Oxfam Australia and other pro-hydropower stakeholders to change the final Recommendations in the Final Report of the MDS Study. Oxfam candidly admits that its “Scientific Analysis” of the Draft of the MDS Study was shared around “and the opinions and comments of other stakeholderts were ADDED to the Oxfam Analysis”… Similarly, Oxfam candidly admits in its email to SBS (presented below) that Oxfams‘ recommendations were incorporated into the Final Report of the MDS Study…! Even if the results of the MDS study had errors, we strongly condemn the conduct of Oxfam Australia and other Pro-Hydropower Stakeholders, and their interference leading to changes being made to the final recommendations of the MDS Study. This amounts to tampering and manipulation of information – made to suit the agendas of Pro-Hydropower interest groups. Such conduct is highly unethical and reprehensible! Below we provide evidence that Oxfam had a direct hand in these changes, as clearly stated by the Manager of Oxfam Australia herself in an email to SBS radio in Australia! Scientists for the Mekong offers other Scientists, Fisheries Experts, SE Asian Decision Makers, International Aid Organisations, NGOs and the public, the opportunity to peruse the latest study made on the Impacts of the cascade of 11 planned Hydropower Dams on the Main Stream of the Mekong River Basin. “Study on the Impacts of Mainstream Hydropower on the Mekong River – Draft Impact Assessment Report – Methods and Results – Summary Version”. Report prepared by (DHI) for the Ministry of Natural Resources and Environment, Vietnam – 10 October 2015. Below we offer our views on this study and the full Executive Summary of the DRAFT of this Impact Assessment Report – as it was this paper that the ‘Oxfam Analysis’ scrutinised and commented on. We believe this study deserves international attention because of the disastrous consequences it heralds for: the Food Security of 60 million people, the economies of Cambodia and Vietnam, Climate Warming, Species extinction, and for one of the most important aquatic ecosystems on Earth: the Mekong River. This much awaited Impact Assessment Report (IAR) – also known as the Mekong Delta Study (MDS-IAR) – was Commissioned by the Government of Vietnam in 2013. It was recently disclosed at a Meeting of Experts held in Ho Chi Minh City, on the 4 December 2015. This Draft MDS-IAR is the most important study recently undertaken to address the Impacts of 11 Hydropower Dams on the Lower Mekong Basin. It is the result of 28 months of multi-disciplinary research by two Environmental Consultant companies: American HDR and Danish DHI. These companies were engaged by the Government of Vietnam in cooperation with the Governments of Cambodia and Laos, and partly funded by the Australian Department of Foreign Affairs & Trade (DFAT). We recently found out this report had already been discussed in Hanoi, Vietnam in October 2015, but only now did we get access to it. This means that the pro-Hydropower interest groups have had 2 months to review and criticize this IAR. This report has unsurprisingly, already generated controversy among pro-Hydropower factions such as representatives of the Laos National Mekong Commission (LNMC), the Cambodian National Mekong Commission (CNMC), and Dam developers. However, most unexpected and shock-provoking is the intervention by OXFAM Australia! “Independent Analysis of the Mekong Delta Study (MDS) Impact Assessment Report” – Prepared for Oxfam Mekong Regional Program, by Dr. Sokhem Pech, Chheng Phen, & Tes Sopharith, Version 1, Phnom Penh, Nov 28, 2015. The above analysis by the new Cambodian Consultants and their comments will be discussed on a separate Blog (see also our Discussion below). While we concur that there are gaps of data in the MDS-IAR, our view is that, the brief given to the Consultants was too vast to be accomplished in less than 3 years, in the first place. The brief of this IAR was so extensive, it would require the engagement of a small army of scientists for a long-term study of least 10-years to be completed in all the geographical areas of the Lower Mekong Basin, in all the ecosystems within this Basin (i.e. main stream of river, tributaries, wetlands, mangroves, delta, etc. ), and in all the topics specified in the brief as needing to be addressed … That is, if a comprehensive quality study was to be expected. Nonetheless, we consider that the MDS-IAR study provides enough substantiated information so as to be taken seriously and its results heeded, pending the completion of further studies. The MDS reveals the large amount of impacts and the devastating consequences that Hydropower Dams will have on the Mekong basin if the cascade of 11 dams is built. In fact, the consequences reported in the MDS study are so disastrous, they warrant a MORATORIUM on all Hydropower Dams in the Mekong Basin until all the gaps in data are filled. Although, it is hereby predicted that any additional data will give more validity and strength to the findings reported in the MDS Study. The MDS-IAR elaborates on the consequences of the many impacts the Hydropower dams will have on the Mekong basin, in particular on the following issues: water levels and discharges, fisheries, biodiversity, Irrawaddy dolphins, fish species migration, loss of biodiversity & extinction, sediments, bed load, washload, erosion, nutrients, salt intrusion, navigation, agriculture, Food security, livelihood, economic impacts, and more. Scenario 3) The Cascade and Water Diversion schemes in Thailand and Cambodia. Rather than editing such a thorough and complex study, we present below the FULL Executive Summary of the Mekong Delta Study IAR and a link to download the Full Draft of this Impact Assessment Report. 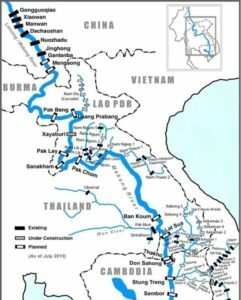 “Eleven hydropower projects have been proposed for the Mekong River mainstream in the Lower Mekong Basin, which covers riparian areas of Thailand, Lao PDR, Cambodia, and Viet Nam. All the proposed dams will be located in Thailand, Lao PDR, and Cambodia. There have been constant worries that construction and operation of any or all of these proposed projects could potentially have substantial and wide‐ranging environmental and socio‐economic effects in all four countries. In particular, there is tremendous concern over the impacts of the planned hydropower cascade on the downstream floodplains of Cambodia and Viet Nam. That led to a strong need that conduction of additional studies and analyses, using the most updated data and best available scientific tools, were a must to improve understanding of how the planned hydropower cascade would impact the natural and human environment and the socio-economic status and livelihood of tens of millions of people in the Mekong Delta. 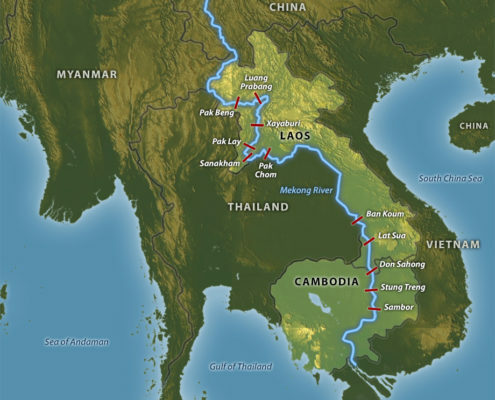 Therefore, the Government of Viet Nam initiated the Study on the Impacts of Mainstream Hydropower on the Mekong River (also known as the Mekong Delta Study or MDS) to study the overall impact of the proposed LMB mainstream hydropower cascade on the natural, social, and economic systems of Cambodian and Vietnamese floodplains implemented in close cooperation with the Governments of Lao PDR and Cambodia. 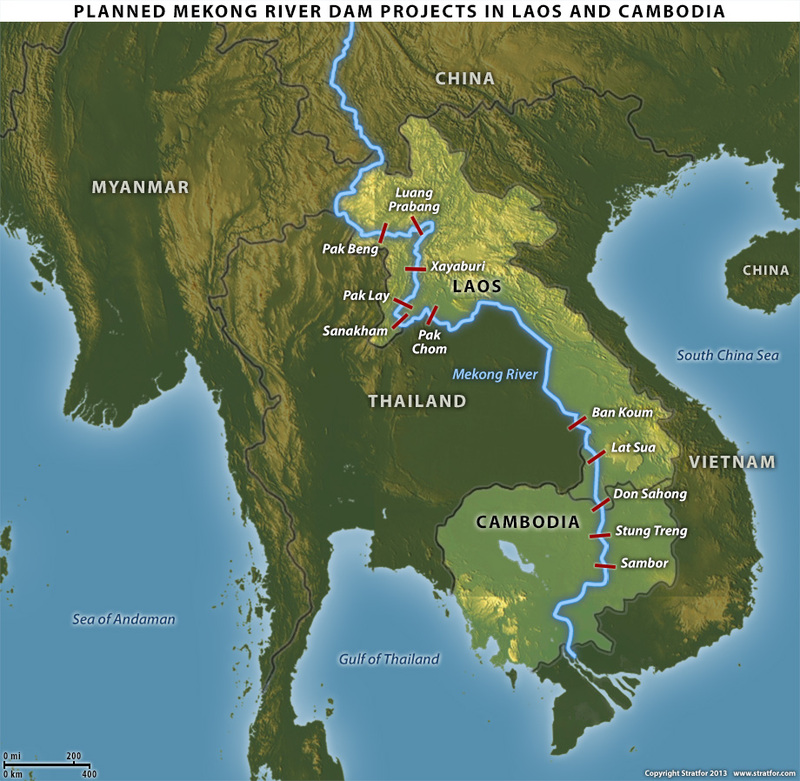 Accordingly, the primary objectives of the MDS were to evaluate changes projected to occur in the hydrological processes of the LMB resulting from the construction and operation of the planned mainstream hydropower cascade, and assess how these changes could potentially impact the human and natural environment in the Cambodian and Vietnamese floodplains. Other objectives included developing a comprehensive database of relevant environmental, social, and economic conditions for the Lower Mekong River Basin, and seeking Basin wide consensus on the results of the impact assessment and determining avoidance and mitigation measures through close consultation with stakeholders. Impacts associated with the major changes caused by mainstream hydropower projects (river flows and inundation patterns; sediment and nutrient loading; salinity intrusions; and dam barrier effects) were assessed separately for six resource areas: namely fisheries, biodiversity, navigation, agriculture, livelihood and economics. Inter- and intra-resource area impacts were identified and overall impacts of the various resources areas on the regional and national economy were forecasted. Two additional scenarios also were evaluated to examine the incremental effects of tributary dams and mainstream water withdrawals. The impact assessment approach was based on internationally recognized standards and accepted practices and principles. Guidelines recommended by the International Association for Impact Assessment, the United States National Environmental Policy Act, and the World Bank International Finance Corporation’s Performance Standards on Environmental and Social Sustainability were incorporated, as applicable. Best available input data and peer-reviewed, scientifically validated impact assessment methods were used to characterize and quantify the impacts. The assessment results indicate that the planned mainstream hydropower cascade (Scenario 1) would cause high to very high adverse effects on some of the key sectors and environmental resources in Cambodia and Viet Nam if implemented without mitigations. Cumulative adverse effects of the planned cascade and tributary dams (Scenario 2), and the planned cascade and proposed water diversion schemes in Thailand and Cambodia (Scenario 3) would pose even greater impacts to the Mekong Delta in comparison to Scenario 1 effects. Under all 3 scenarios, the most severe adverse impacts are anticipated to result from a combination of the dam barrier effects and the reduction in sediment- associated nutrient loading. Though low to moderate changes expected for normal hydrological year, high to very high short-term adverse impacts on river flow regimes would occur as a result of dam hydropeaking operations and dry-season drawdowns (potential loss of 10-day water volume at Kratie is 60%, and at Tan Chau and Chau Doc the potential loss is 40%). The river course of Cambodia downstream of the cascade is projected to suffer the highest impacts from wildly fluctuated flows and water level. A mongst three assessed scenrios, impacts on flow regimes of Scenario 3 are worst, while those of Scenario 2 lesser. Sediment and nutrient deposition would decrease as much as 65 percent at Kratie and Tan Chau – Chau Doc and by smaller amounts off the mainstream, potentially causing a substantial decline in biological productivity, reduction in agricultural production, increase in erosion, and a decrease in the rate of buildup of riparian and coastal sites. The Scenario 2 poses most severe impacts on sedimentation and nutrients in comparison to the others two. Salinity intrusion would increase in some coastal areas. Similar to flow impacts, Scenrio 3 causes largest impacts on salinity intrusion. Travel routes of long-distance migratory fish (white fish), which account for 74% of the catch of the top ten commercial fish species, would be completely obstructed. The dams would also block upstream and downstream movements of all other migratory fish and other aquatic animals. Overall the presence of the dams is expected to cause a very high decline in total capture fishery yields of about 50% for both Viet Nam and Cambodia. Tributary dams and diversion may cause cause additional impacts on fisheries at a marginal increase. The substantial loss of capture fishery resources would adversely affect food security, livelihood, social well being, and economic status of large segments of the population in the Cambodian floodplains and the Mekong River Delta that are directly or indirectly reliant on fishing and associated occupations. High to very high adverse effects on biodiversity include the potential for extirpation or global extinction of up to 10 percent of the fish species from Viet Nam and southern Cambodia, reduced populations of surviving migratory fish species, extirpation of the Irrawaddy dolphin from the Mekong River, reduced distribution and abundance of freshwater mussels, and reduced drift of all other invertebrates. Unsafe conditions for the operation of vessels could occur downstream of dams operating for peak daily power production or conducting drawdowns. Low to moderate adverse impacts are projected on navigation elsewhere mainly due to changes in river flow regime and resulting challenges to river navigation not historically encountered. Overall, low to moderate adverse impacts are projected on agricultural productivity. But within the areas that are impacted, the impacts would be high. Key significant impacts to the livelihood of people in the region would occur due to water level reductions, and increase in salinity incursions in the Vietnamese Delta. Livelihood will also be indirectly impacted due to direct impacts on capture fisheries, agriculture, and navigation. Economic impacts within the riparian areas and the floodplains could be high. Overall, in Cambodia a national industry of high importance (fisheries) would suffer very high decline in yields, and widespread adverse impacts are anticipated in the riparian areas between Kratie and Kampong Kor, which would be most severely impacted. Viet Nam would also suffer great losses in fisheries and biodiversity, and experience potential impacts due to increase in salinity incursions. The projected impacts are based on a robust combination of quantitative and qualitative analyses of the best available data with advanced modeling systems and customized impact assessment tools. The actual impacts may well be greater than projected because of the cumulative effects of other natural phenomenon (climate change, sea level rise), on-going developments in the LMB (deforestation, etc. ), and the uncertainty related to how the natural systems will respond to the major disruption in the LMB system. Though recognizing that biological resources are adaptive by nature and over time to counter and overcome some of the projected impacts, but such adaptations cannot fully compensate for the projected effects. 2) relocating some planned projects off the mainstream to tributaries. Fish passage technologies and/or dam design changes may be considered to mitigate some of the projected losses. However, the effectiveness of fish passage technologies has not been proven in the context of the Mekong Basin and its highly diverse fish diversity. Therefore, it is uncertain what degree of relief fish passage technologies may be able to provide. Also, it is likely that even the best available fish passage technologies may not be able to handle the massive volume of fish migrations, which during peak migration periods can reach up to 3 million fish per hour, and the diversity of migration strategies that characterize the hundreds of fish species in the basin. In conclusion, the planned hydropower cascade would cause very high adverse impacts to Mekong River floodplains and delta due to the combined interaction of dam barrier effects, highly reduced sediment and nutrient loading, and increase in salinity incursion. Yield of the critically important capture fishery could be reduced by over 50 percent, and up 10 percent of fish species in the region could be lost. The large amounts of sediment trapped behind the dams would greatly decrease the delta’s capacity to replenish itself making it more vulnerable to sea level rise, saline intrusion, and may worsen coastal erosion. Loss of nutrients trapped along with the sediments will decimate the unmatched productivity of the entire delta system. As mentioned above, this MDS-IAR study received a very harsh review in the report commissioned by Oxfam . In our view, it goes a lot further than mere malicious comments aimed at discrediting the MSD-IAR. This will be discussed in-depth in another Blog. Oxfam Australia not only spearheaded a campaign to discredit the MDS-IAR study, hired the ‘scientists’ consultants, funded a new “Analysis of the MDS-IAR Study findings”, tried to conceal from the public eye the results of the Mekong Delta Study, but also had an Oxfam team working ‘regularly’ with the team of ‘scientists’ it hired to finalise the Analysis, with the obvious aim to discredit the findings of the MDS-IAR. It did not stop there. Oxfam proceeded to question the validity of the MDS-IAR findings through discussions – based on the substandard scientific work in the ‘Oxfam Analysis’, which in addition contains a large amount of unfounded, bureaucratic-like comments – at two meetings with International stakeholders in Hanoi and in HCMC – in October and December 2015, respectively. The impacts of Salinity intrusion in the Mekong Delta, and many more. The impacts of the Don Sahong Dam being built on a ‘geological fault’ and the serious damage its collapse could cause to downstream populations. The impacts of the Methane & CO2 emissions by Hydropower dams on increasing Climate Change. While we agree that there are important data gaps, overall the MDS-IAR study provides enough sturdy information to totally invalidate the discrediting efforts by the ‘Oxfam Analysis’, as well as, results published in previous reports such as those produced by The Stimson Centre [3, 4, 5] – which obviously align to Oxfam’s viewpoint on the matter. 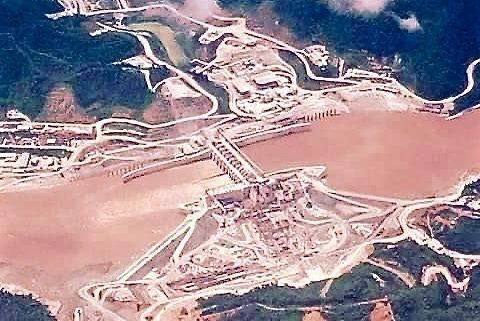 Hence, these American consultants gave “Carte Blanche” to Laos to continue with the development of both the Xayaburi Dam and the Don Sahong Dam. And pretty much convinced Oxfam Australia that Dams are not really a problem. Similarly, the efforts by Oxfam Australia to discredit the findings of the MDS-IAR, while disregarding a lot of scientific evidence by this and other studies that demonstrate that the construction of Hydropower Dams in the Lower Mekong Basin will result in the loss of Food Supply of 60 Million people, which is nothing less than contemptible! Particularly, given that the very core mission of Oxfam is precisely the opposite: i.e. to “ensure the protection of the Food Supply of poor people in developing countries”. Oxfam’s deplorable conduct begs the question: Why would an International Aid organization supposed to Protect the Food Supply of Poor people be taking steps to ensure the contrary? It’s clear that the Oxfam consultants were disappointed and infuriated by not finding anywhere in the MDS-IAR supporting evidence or validation, of the benefits of Hydropower dams – similar to those offered by the Stimson Centre to Laos. Oxfam is in collusion with the Hydropower Interest Groups in SE Asia. By discrediting the MDS-IAR Study, Oxfam actually enables the construction of Hydropower Dams in the Mekong Region. And by doing so, Oxfam Australia is supporting the DFAT Aid program to Laos. Would the Mekong Hydropower Projects and their disastrous Social, Economic and Ecological consequences be allowed to become a “casualty” of a bigger Trade Agreement Deal between Australia, China and the Big Banks (including the World Bank)? A more in-depth discussion on why Oxfam has taken steps to discredit the MDS-IAR study is given in another blog. We await the final text of the Mekong Delta Study for a more in-depth view. In the mean time, readers are encouraged to peruse another very important scientific study , which provides an analysis of the importance of open discussion, involvement of affected communities, and the Community Consultation Process in Environmental Impact Assessments in the Mekong River basin. We hope the Oxfam team will read this document to understand the importance of Environmental Impact Assessments. The social impacts of the breach of the Human Rights of Dam-affected communities in Laos and Cambodia – though the severe punishment of any opposition, substandard Community Consultation and lack of Freedom of Speech, are of serious concern. We suggest Oxfam Australia ought to be giving more attention and funding to resolving the issue of Human Rights Violations through forcefully relocating communities who do not wish the dams – given that it directly affects Social stability. As well, Oxfam ought to be focusing on the consequences of Hydropower dams in the region. In particular, the loss of Food & Water Supply, and the loss of livelihoods of 60+million people, rather than wasting funds to discredit the results of a valuable study. Specially, given that the MDS Study is actually aligned to Oxfam’s core purpose. That is: the protection of the Food Security, Health and Well being of poor people in the Mekong basin. Study on the Impacts of Mainstream Hydropower on the Mekong River – Draft Impact Assessment Report – Impact Assessment Methods and Results – Summary Version. Also known as the Mekong Delta Study (MDS) – Report prepared by Malmgren-Hansen, A. (DHI), Anwar Khan (HDR) & Kim Wium Olesen (DHI) for the Ministry of Natural Resources and Environment, Vietnam – 10 October 2015. Independent Analysis of the Mekong Delta Study (MDS) Impact Assessment Report – Prepared for Oxfam Mekong Regional Program, by Dr. Sokhem Pech, Chheng Phen, & Tes Sopharith, Version 1, Phnom Penh, Nov 28, 2015. Modern Misconceptions about Hydropower. Nguyen Huu Thien (2014), Compiled by GreenID & Vietnam River Networks, Hanoi, Vietnam,14pp. Submission of Earth Rights International to John Knox, United Nations Special Rapporteur on Human Rights and the Environment. Harris, M. et al. (2015). Scientists for the Mekong offer a list of the “cascade effect” of the damages resulting from Hydropower Dams on the Mekong basin. Meaning, that one factor leads to another and so forth. This is a better term than a ‘domino effect’ given we are also talking of a Cascade of Dams being built and many more planned for the region. This is an excerpt of our article by L. Corredor (2015)[i]. Dams will block migratory routes for fish and other aquatic organisms – both on the main stream of the river and its tributaries. Dams will reduce significantly the amounts of vital rich nutrient soils (alluvium) carried by the river – vital to fisheries, agriculture downstream and the Mekong Delta. Dams will cause a dramatic loss in biodiversity – though loss of fish species, as consequence of blocking the fish migration routes. Dams will create fluctuations in water levels – harmful to riverine communities both during the dry season and the wet seasons. Water withdrawal for the dams’ reservoirs during the dry season will endanger aquatic populations, and will also harm upstream riverine communities by depleting water volumes necessary for their farms, aquaculture ponds and daily living needs. Dams will endanger the lives and properties of downstream riverine communities by exposing them to sudden flash flooding every rainy season, as dams are forced to open their gates and release excess water to avoid collapse. Flash flooding by Dams during the wet season will result in loss of homes, livestock, harvests and perhaps even lives (yet there is no compensation offered – as has already occurred in southern Cambodia). Downstream communities may be exposed to added danger if the Don Sahong Dam collapses as a result of tremors (given that it will be built on a Geological Fault) – with incalculable disastrous consequences. Dams will ensure damage to the RAMSAR Wetlands in NE Cambodia, through extreme drainage (in the dry season) and flooding (in the wet season) – as well as to all wetlands in the basin, particularly the very important and productive area of Tonle Sap. Dams damage to Wetlands puts at risk the food security, livelihoods and even the lives of thousands of people. In NE Cambodia alone, dams will imperil 20,000 people living in the RAMSAR wetlands. Dams will devastate aquatic populations of flora and fauna; and endanger bird populations – both in riverine areas and in Wetlands – as a result of seasonal excessive flooding and drainage of the Wetlands. Dams will alter the whole Mekong ecosystem not only hydrologically, but also its fauna & flora. Dams will cause irreparable damage to the Tonle Sap River and the Great Lake through loss of migrating fish species, therefore loss of fisheries, reduced water quality and loss of alluvium. Dams will put at risk the Food Security of 60 million people – in Thailand, Laos, Cambodia & Vietnam. Dams will increase the risk of ‘Arsenicosis’ a fatal condition, through arsenic-laced drinking water. Thus, putting in peril the lives of millions of people in the Lower Mekong basin. Hydropower Dam projects are built on Human Rights Violations. In Laos, communities are denied the Right to Freedom of Expression. Any opposition or criticism of such projects is harshly punished (as per Penal Code 46 by Laos), including: jail sentences of 5-15 years with fines, disappearances and killings. Free, Prior and Informed Consent (FPIC) has not taken place or is substandard. Opposition is also harshly dealt with in Thailand and Cambodia, with jail sentences, deportation and killings of activists and journalists that have opposed government plans. Dams have already displaced thousands of people, and will displace hundreds of thousands more, along the main stream of the Mekong River and its tributaries – to make space for the Dam’s reservoirs. Dams have already caused, and will cause further untold suffering and despair to displaced communities now and in the future: psychologically, physically and emotionally – as a result of being uprooted from their homes, losing their property and livelihood, by being relocated to unknown areas far away from the river and the life they know; and by having to discover a new way to make a living. Dam developers and host governments have only offered substandard compensation to displaced communities, to date. Dams will ensure the loss of many cultural sites of importance to local communities and ethnic groups – for which there is no compensation possible as these sites are irreplaceable. Dams will cause irreparable and massive loss of revenue for Cambodia and Vietnam calculated in Billions of Dollars – through the huge loss of exports. Dams will lead to the continuous emission of millions of tons of Green House Gases (Methane and CO2) produced throughout the lifetime of the dam by the “drawdown zones”. These are the areas resulting from drying and flooding of wetlands and riverine areas, during the dry and wet seasons. Consequently, Hydropower Dams in the Mekong basin will intensify Climate Warming. In light of the above, the notions that Hydropower Dams in the Mekong Basin are: sustainable, ethical, socially and economically beneficial, and they produce “Green and Clean energy” … is not only false and ludicrous, but also indefensible. We conclude that Hydropower Dams will have disastrous consequences on the whole Lower Mekong Region and that they must be HALTED and no further Dams built for the benefit of all.